How do I clear my Firefox browser cache on a Windows system? 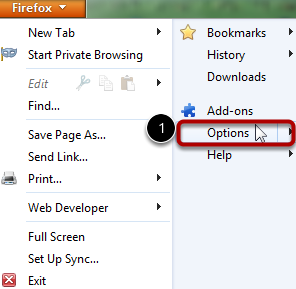 Click the Firefox dropdown menu . Click the Options dropdown menu . Click the Clear Your Recent History link . 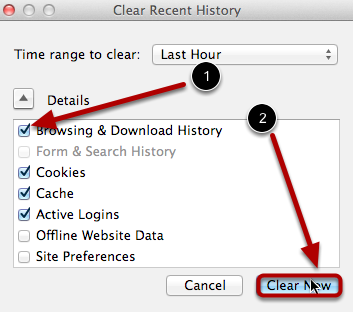 Select the time range you want to clear the browsing data from by clicking on the time range drop down menu . Click the Details dropdown menu. 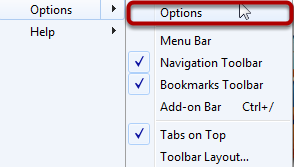 Make sure the browsing and download history checkbox is selected  and click the Clear Now button  to clear browser data.